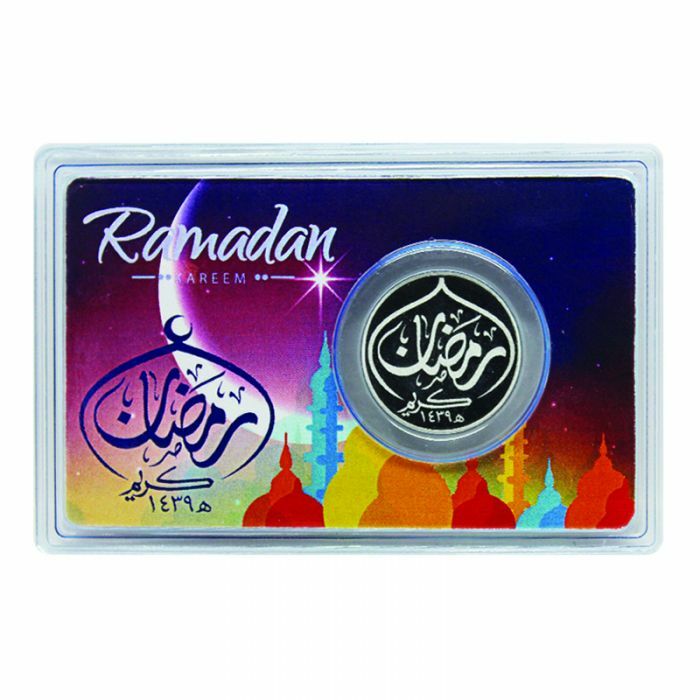 For the holy month of Ramadhan, we present to you the Ramadhan Trimetal coin from our 1439 Hijri Trimetal series. 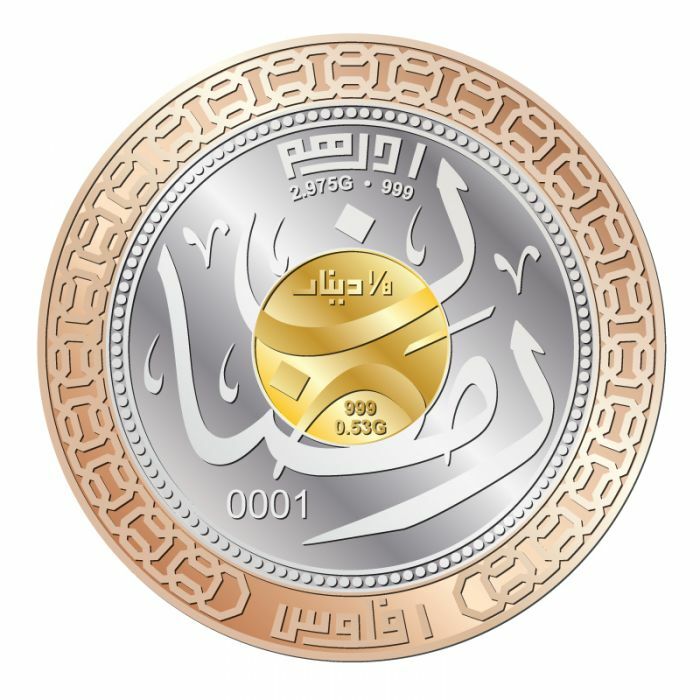 Featuring a unique composite of 1/8 dinar, 1 dirham and 1 fulus copper, this beautifully engraved piece will make a welcome addition to any Dinar or Dirham collection, or be kept as an investment for the preservation of wealth. Design - The obverse features 'Ramadhan' engraved in Kufi calligraphy on the gold and silver portions of the coin, along with the tech specs for each portion in Roman numerals and Jawi. The copper part features a geometric motif, which is unique to each month, along with the inscription '1fulus' in Jawi. The reverse features the inscription 'Nusantara Bullion Exchange' in Jawi on the Dirham portion, along with '1439 Hijrah' in roman lettering. The gold portion features a stylized Kufi calligraphy for the phrase 'La Illa Ha Illallah Muhammadur Rasulullah'. The outer rings of the silver portion and the entire copper portion are covered with geometric motifs as well.